Just because it’s NaNo month and I’m on Team Pantser this year, doesn’t mean I’ll stop doing my long-hand exercises. I’m sure a lot of people (especially Pantsers) type everything straight into their computer. During NaNo month, far more of my first draft definitely happens through my keyboard. But, I almost always warm up with a hand-written exercise and when I get stuck, I always reach for a pen. Writing by hand, for me, opens me up creatively, frees my ideas, my blocks, and my editor. Whether you are participating in the NaNoWriMo this month or not (and cheers to you if you are), I’ve cooked up a little exercise that you might find helpful at some point when developing a character. A few weeks ago, the students in one of my classes read How to Steal a Dog by Barbara O’Connor. A sweet middle grade story about a girl who must live in a car with her mother and brother after their father leaves them with no money and they are evicted from their apartment. Her mother is working two low-wage jobs in order to come up with rent and deposit for a new place. The girl decides she’s going to help her mother raise money by stealing a dog. She’ll wait for the owner to post a reward and then bring the dog back for the reward. I didn’t find anything particularly surprising or eye-opening about the story, but I did like the concept, the characters, and the voice. I think voice is one of those things that’s difficult to teach, and even to explain to writers, but you kinda know it when you see it. In the book, the main character creates a list of instructions in her journal on how to steal a dog. The assignment I gave to my students after they read the book was to write their own instruction list for something in the form of a poem, vignette, or short story (for example, one wrote instructions for “How to Make Someone Uncomfortable When You Pass them on the Sidewalk ). It was a great exercise, so I decided to use it another way. What if the character in your story wasn’t giving someone instructions on how to DO something, but how to BE something. What about how to be them? This might be a great way not only to develop voice, but backstory, motivation, wound, etc. In other words: character. Set your timer for 15-20 minutes. Put your character in a place (so we know who her audience is): a psych ward, the waiting room of a dentist office, an auditorium, school lunchroom, or maybe just home in bed writing in her diary. Write without stopping and see where that takes you. Don’t edit, cross out, or re-read while you write. Keep the pen moving! If you like the exercise, try it again with another character. My friend Jennifer and I were walking in the park yesterday with her daughter, enjoying a crisp late afternoon under a canopy of bright leaves. When I grew thirsty, she offered me her tic tacs. I did as I was told and instantly had a memory of a shopping mall where my best friend and I bought treats on the way to school. She was right. There was something about that kick of taste that brought me back to my childhood. What small, simple objects transport you back in time? What small, simple objects transport your character back in time? This weekend, write about a memory that strikes your character without notice. That hijacks their thoughts. That intrudes on their mood, their day, their conversation. 1) Pick one of your characters to use for this exercise. SET YOUR TIMER for 7-10 minutes. Now write a SCENE in which this object INTRUDES upon your character’s activity, be it a walk, a fight, a conversation, a meal. Have it invoke a memory, and a feeling along with that memory. Have it TAKE THE ACTION in a new direction. Okay, the part where I carried this by myself to the car may have exacerbated my back injury a bit. 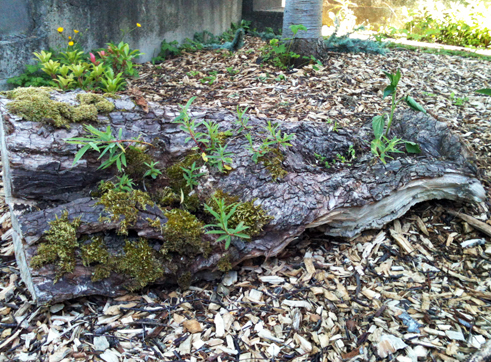 But lookie how cool my garden driftwood log is! And my free beach log only cost me $300 in massage and chiropractor expenses! So, while I was grumbly and lying around recovering, I entertained myself by watching 2 seasons of The Killing – a really fantastic series (oh, but don’t tell my husband I watched season 2 without him) and inspirational youtube videos of X Factor auditions. I’ve never watched X Factor, American Idol, The Voice, or any of these other singing shows, and I don’t think I’d watch a whole show or a whole season. But what I loved over and over again was when the person auditioning took the judges by surprise. I loved when what they expected was turned on its head. The list goes on, really (I probably watched 100 videos). And it’s made me think both about expectation and inspiration. We can’t help but to judge people the moment we see them. It’s human nature. And I find it completely inspiring when my own expectations are blown out the door. Literary agent Donald Maas, author of Writing the Breakout Novel, says that to make your characters universal, you have to make them unique, which sounds like an oxymoron. But, he explains, that our uniqueness is the universal thing about us. What’s unique about us might be a talent – a small one or a large one or a quirky one. Remember in BREAKFAST CLUB when Claire (Molly Ringwald) placed her lipstick between her breasts and put it on without her hands, claiming it was her only talent? John Green’s protagonist in AN ABUNDANCE OF KATHERINES has a talent for making anagrams. What is your character’s talent? Is it integral to the plot or a bonus character trait? Does your antagonist or villain have a talent as well? Now write a SCENE in which another character comes upon your character doing this thing at which he or she is so talented. Make the scene awkward for the character by either a) making the character ashamed of being caught, or b) making the person who catches him in the middle of this thing either critical or snide about it. I’ve developed a course called Introduction to Speculative Fiction and there’s a particular brainstorming exercise where students do sub-genre mash-ups to generate stories. Once when I was teaching the class there was a woman in the front row who spent most of the class scribbling in her journal. She was a contemporary fiction writer working on a semi-autobiographic story. I thought she wasn’t interested in the class and was off on her own adventure. Turns out she had been inspired by the exercise. 1) SET YOUR TIMER for 10 minutes. Think about a moment in your life when you had to say good-bye to an inanimate object (a car, a dress, a book, a couch). 2) SET YOUR TIMER for 12-15 minutes. Now make the object animate in some way. Give it a magical property. Have it visit you in your dreams. Give it some way to communicate with you. 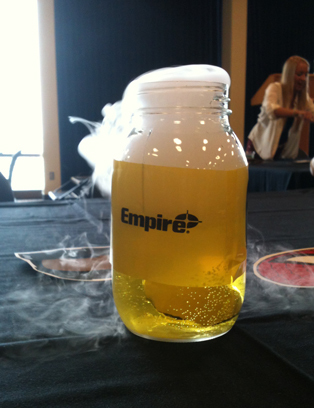 3) SET YOUR TIMER for 20 minutes. And now write the SCENE between you and the object if you haven’t already. 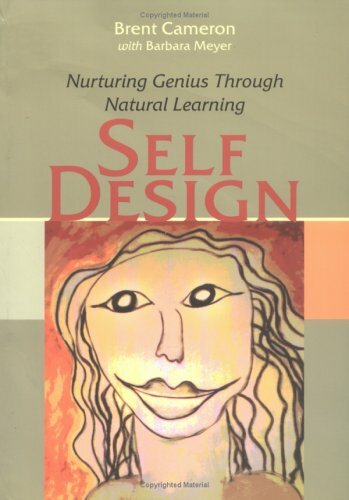 I’ve been reading an excellent book called SelfDesign about the life long educational philosophy of Brent Cameron. In it he states that in order to stay balanced within ourselves and our relationships we have to learn not to extend ourselves into other people’s domains, violating their boundaries. He theorizes that if we stay 2/3 in our own space and share a consensual space of 1/3 each, we can keep our relationships in balance. Think about the over-bearing mother who smothers her child and is 3/4 in his personal space. He will definitely find ways to express his anger. I haven’t tried this one yet, but I thought it made an interesting idea for an exercise about what transpires when characters invade each others’ space. I think ideally this ends in writing a scene between two people who have “space” issues, but take it wherever it goes. 1) Set your timer for 5-7 minutes. The demon my character always keeps at bay looks like . . .
Write, don’t stop, don’t edit, don’t cross out. 2) When the timer stops, Set your timer for 7-10 more minutes. My character’s personal space is violated by his (mother, sister, brother, uncle, etc) when . . .
3) When the timer stops, Set your timer for 10-12 more minutes. 4) NOW, set your timer for 10-15 more minutes. WRITE THE SCENE in ACTION and DIALOGUE ONLY (to keep you moving forward – don’t get caught up in the minutia of description) in which this character is confronted with this invasion of space. Use the start line: Character B stepped closer to Character A and . . . Even though you are writing a scene, just WRITE, don’t stop, don’t edit, don’t cross out. Read your exercises and your scene, make notes, highlight what makes sense. And have a fabulous, healthy weekend. I’ve been zonked with a nasty head/chest cold this week and am feeling a bit behind. But, since I feel behind most of the time, I’m not going to fret about that. I do wish I could breathe through my nose, though. The interviewer brought up the idea of working with the seven deadly sins, which are: wrath, greed, sloth, pride, lust, envy, and gluttony. I’m sure each of us has experienced every one of these sins personally in some way, shape, or form. Perhaps we can relate to one of them more than the others. I’m not so much a wrathful person, but my pride has made me stubborn in the past, and hindered me from looking at something from someone else’s point of view. In the end, it was only a disservice to myself. Which is how I want you to view these “sins” in terms of your characters. Which sin resembles the cause of each character’s misery? Is it envy that spikes her bitterness toward her sister? Is it pride that won’t allow him to forgive his best friend? Is it wrath that guards her heart? If you’re not sure, try several of them on for size and see what fits. And try this out on multiple characters, not just your protagonist. Every character deserves a sin! My character is stifled by the sin of . . .
She/he must confront this sin when . . .
3) NOW, set your timer for 10-15 more minutes. WRITE THE SCENE in ACTION and DIALOGUE ONLY (to keep you moving forward – don’t get caught up in the minutia of description) in which this character is confronted with her sin. Use the start line: In frustration, He/She picked up the . 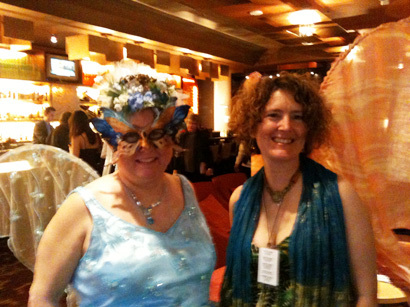 . .
Greetings from FaerieCon West, where I will be storytelling and causing mischief all weekend. 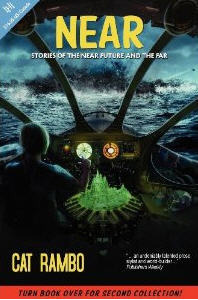 Second, the 2013 Nebula Award nominations are in and Hydra House’s own Cat Rambo was nominated for her short story “Five Ways to Fall in Love on Planet Porcelain” from her Near + Far collection. CHECK OUT the entire list of nominees and congrats to all (I wouldn’t want to have to pick a winner from this lot). This is a BRAND SPANKING NEW exercise that has nothing to do with character or plot or editing. I developed it for a recent writing workshop and had such a good time with it I wanted to share it here. Create 5 columns across a sheet of paper and write: Colour, Fruit or Vegetable, Instrument or type of Music, Location, Day of the Week. Then, below each, list something or place you’ve never really liked in this category. Something that doesn’t appeal to you and you’d never choose it voluntarily. For instance, you do not like the colour brown, brussel sprouts, harmonicas, Los Angeles, or Tuesdays. Next, under each category, write a sentence like this: “When I think of ______, it reminds me of ______.” Example: When I think of brown it reminds me of camping in the rain with my Dad. Carve out your poem from these lines. There are many ways to do so: rearrange lines, leave out words, change words to create alliteration, add interesting space for breath, etc. Expand and change the language where necessary. Add more imagery.